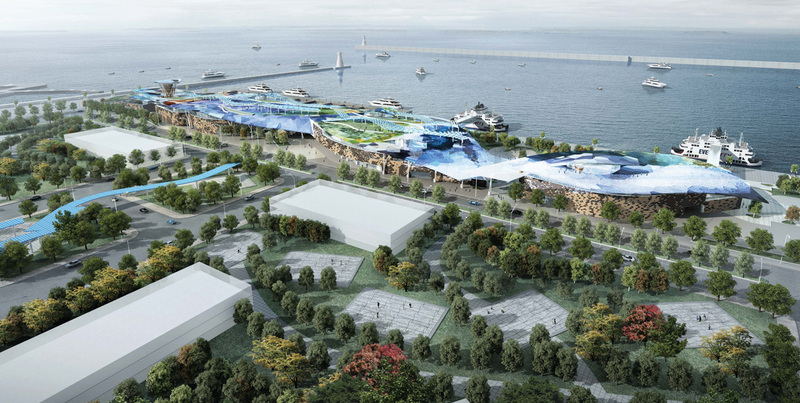 The situation of the new building of the Shuitou ferry terminal rises up a series of discussions about the future direction of the whole area. On one hand, we have the existing landscape, picturesque, with low height hills, local vegetation, the sea shore, and the existing villages and nucleus of small houses which contain various monuments. On the other hand we have the existing Shuitou Pier, with the actual ferry terminal, outstanding in the landscape because of the position and scale. And finally we have the whole new urban intervention and the intention to modernize the port installations and the whole area, looking for the future development of the area and the whole island. 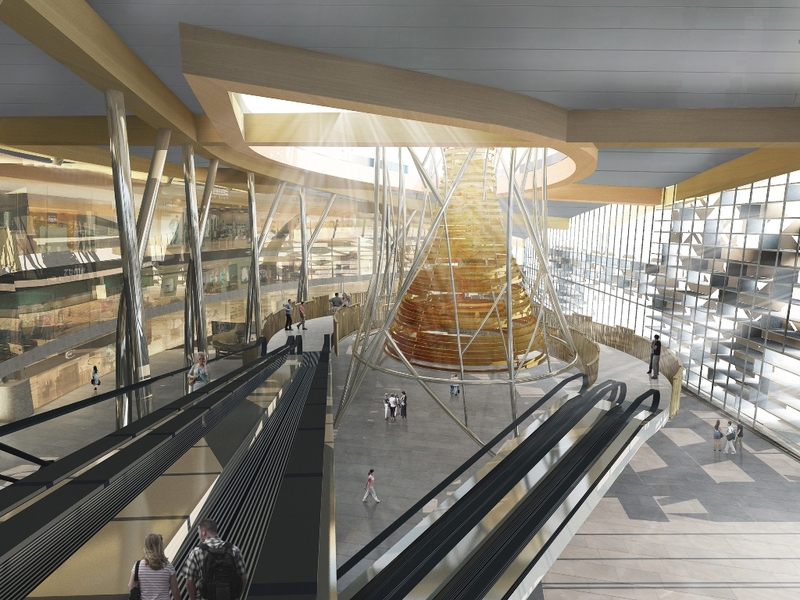 For this intervention, the future building of the ferry terminal will be the first and the most important. 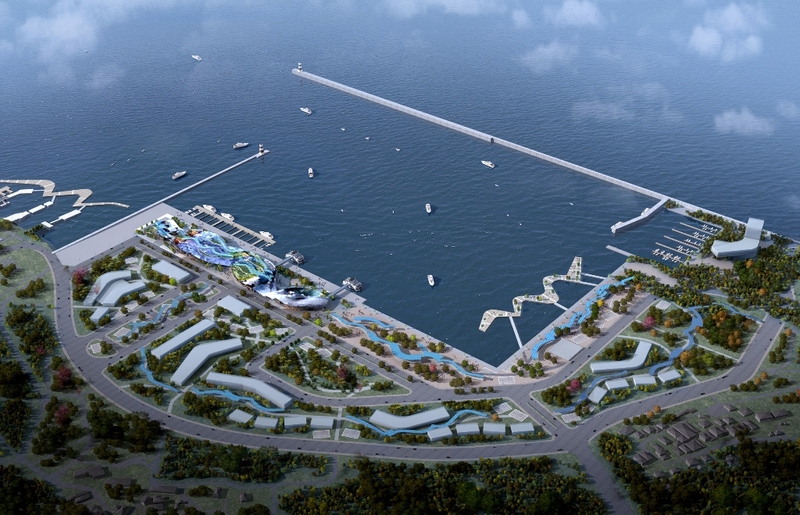 As being one of the first and greatest interventions that are done in the island of Kinmen after so many years, we believe that the implementation of the new terminal building will mark the directions of the development of the whole area. For this reason, we believe that the urban and landscape considerations should be much taken into consideration, and they should prevail on the architecture of the building. HERITAGE AND LANDSCAPE Our intervention is based on a careful observation of the site. For this reason, the visit to the site was very important because it revealed us the quality of the existing landscape with the old villages are integrated in a vernacular way. We also learned a lot about the history, culture and the identity of the people of the Island. We learned that there is a lot of heritage to appreciate and enhance, nice landscape and natural sites to be preserved. A richness that we feel it should be the most important feature for any future development because it will preserve the identity of the island. Kinmen is not Xiamen nor Guylang island. It has a different and precious identity that has been preserved for so many years and makes it special. We feel like this is the first thing that the visitor should now about Kinmen, and we would like that our building should talk about all this richness. URBAN APPROACH On an urban scale, we read 3 different layers in the site. The first one is the sea front. An important image of the site is the one that you perceive when you arrive in boat. The building terminal has an important participation in this sea facade. The second one is the layer of the new buildings. The third layer is the one of the villages and landscape. We also identify 3 important axis on the site: the Tashan Mountain, Xiashu direction and the main connection with Kinmen town. For sure, the future building will introduce a new axis in the whole complex, an axis that will connect to the sea. This analysis conducts us to several main urban considerations for the whole site in general and for our building in particular. CONNECTIVITY We believe that the first condition for any future intervention is a good connectivity with the existing net of pedestrian ways and roads. 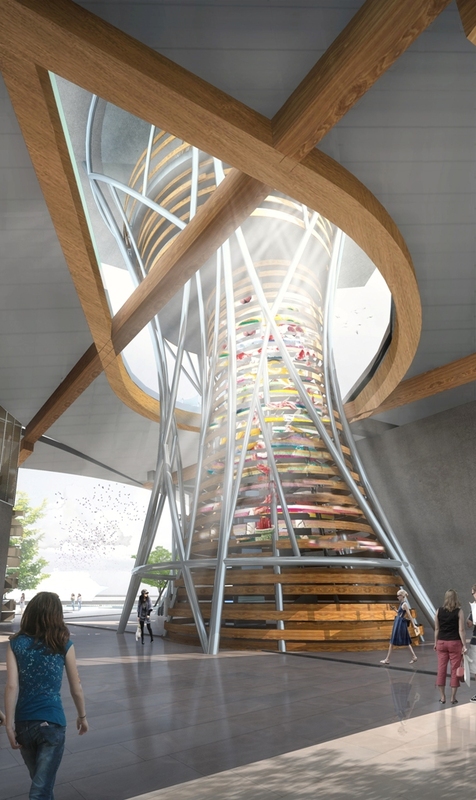 This will allow the inhabitants to recuperate the contact with the sea through a series of pedestrian paths and roads that will conduct in a natural way to the sea shore and the public spaces. 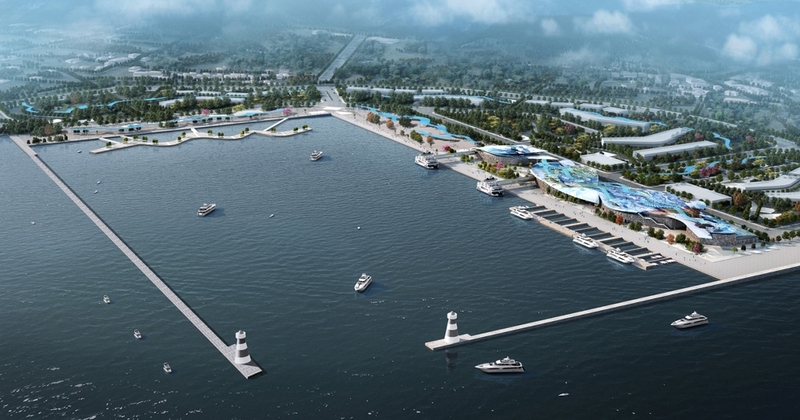 These connections will permit to introduce in the future new touristic, pedestrian and cultural circuits in the proximity of the port that will revitalize the whole area. Tourists will have not one, but many arguments to walk along sightseeing from one monument to another. Several types of circuits can be promoted from the ferry terminal itself (natural, historical, architectural, etc.) for all types of tourists. 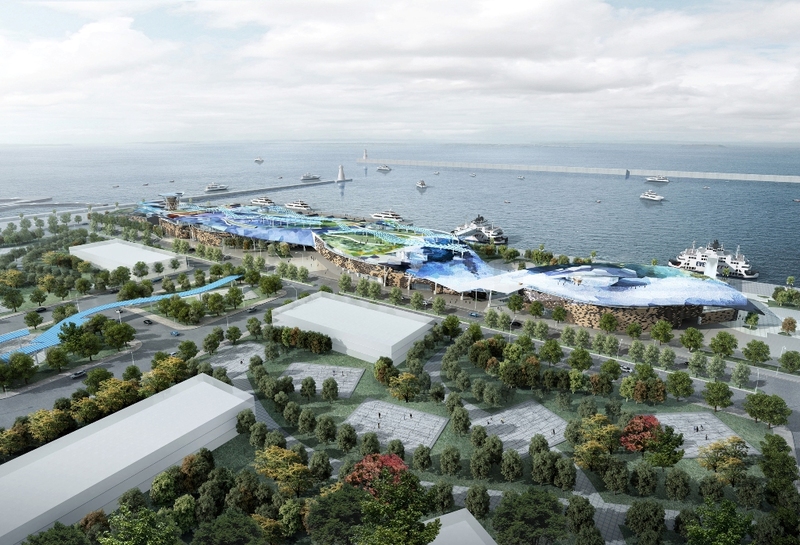 The new building of the ferry terminal will be one of these attraction points because you will have a quality public space with a very privilege position to observe the sea. (the roof) . 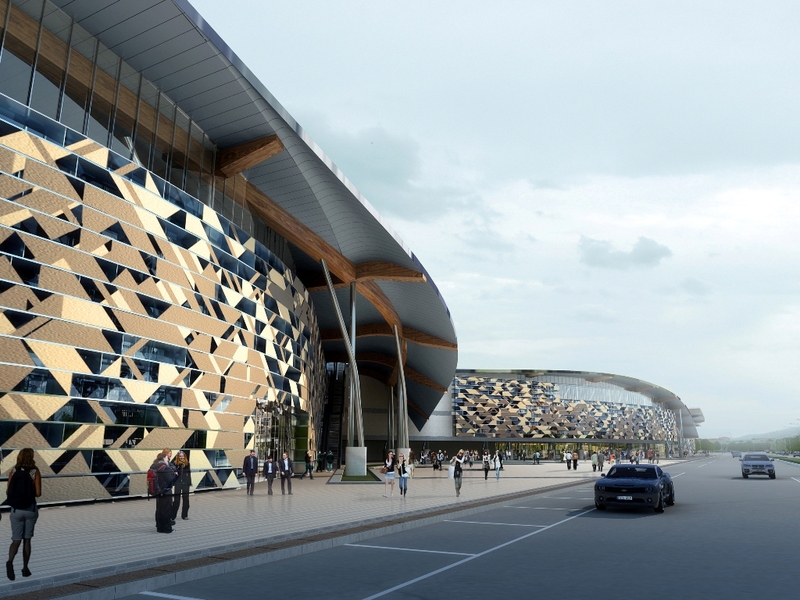 the new ferry terminal will be closely linked with the rest of the public spaces and paths through the public spaces that are organized on the site around the main building. 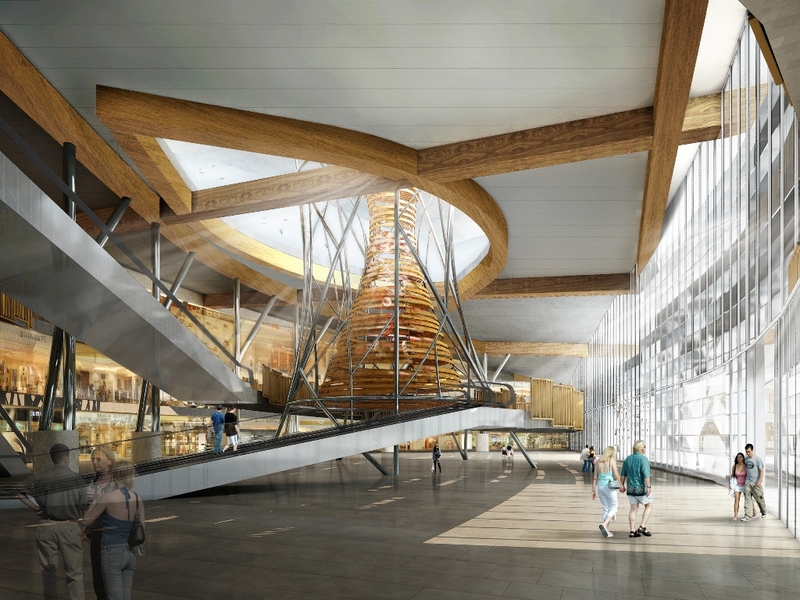 The roof will be connected to the public spaces with mechanical stairs . SCALE The present situation alerts about the contrast in scale between the existing villages and smooth landscape and any new construction that, by force, needs an important volume, like the ferry terminal itself. This is why we consider that the new building should not have an important height and the volume should integrate in the waving lines of the landscape. We also believe that between the old buildings and the new buildings, there should be a transition area that will help to achieve a gradual increase of the scale. New high buildings should be carefully inserted in the landscape, as special “accents” in strategic positions. VISUAL CORRIDORS We consider that it is important to preserve some visual corridors towards the sea. In this way, the site will not lose the link with the sea. This is why we separate the main building in several parts and the shore is accessible in some areas by the public. On the other hand, once the barrier built to protect the port, from the pedestrian level in our site, one is not able to see the sea landscape anymore because one can eventually only see the barrier. On the contrary, from the level of the roof, the public will be able to look beyond the barrier and see the other island and the coast. NATURAL ENVIRONMENT Nature is very present on the site. It has to be an important presence in the future intervention, in order to ensure a good quality of the environment but also the integration. We propose to promote 3 green corridors from the existing natural sites towards the sea. These corridors, free of constructions, are planted with local vegetation. There is also a green connection crossing along the whole site. 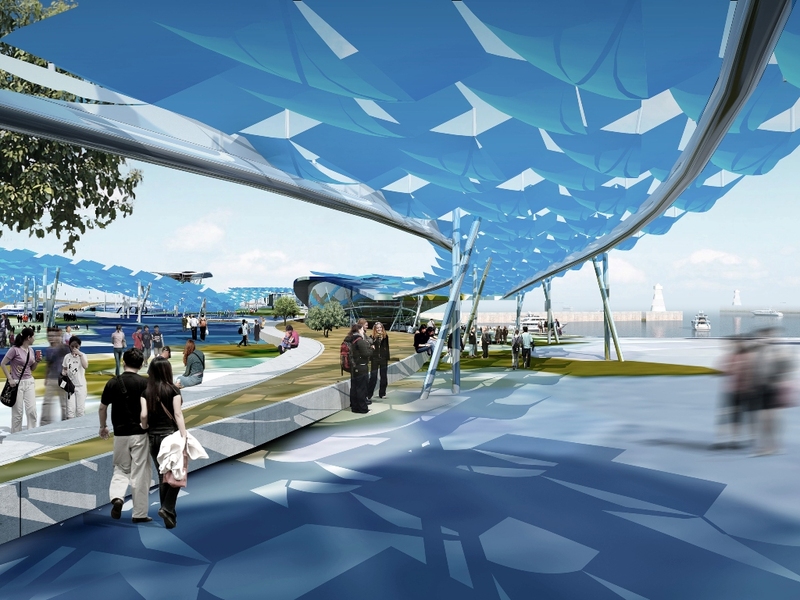 This pedestrian way will be accompanied by the solar panel pergolas and will link the different public spaces (the roof of the terminal building, central park area, the lake, the sea esplanade, the leisure park, the sport fields and the marina. Visitors can go on to visit Jyangongyu islet and the beach on one end of this green promenade or they can visit Tashan mountain and Pagoda at the other end. Competition entry. Honorable Mention 1. FIRST PHASE. Principal architect: Benedetta Tagliabue, Miralles Tagliabue EMBT. Project leader: Elena Nedelcu. Collaborators: Gabriele Rotelli, Gabriela Cruz, Pey Lung, Gaia Cella, Mireia García, Cynthia Luglio, Ester Bayo, Ana Fernández Galván, Luana Del Prete, Susana Sousa, Zhuoran Zhao, Ilaria Egidi, Ioannis Kyriakou, Gaspar Cánepa, Alejandro Saavedra, Lucien Dumas. Engineering consultant: CECI Engineering Consultants. Green energy: Politecnico de Milano + AIACE srl. SECOND PHASE. Architect: Benedetta Tagliabue, Miralles Tagliabue EMBT. Project Leader: Elena Nedelcu. Collaborators: Gabriele Rotelli, Arturo Mc Clean, Gabriela Cruz, Pey Lung, Ana Fernández Galván, Gaia Cella, Mireia García, Gaspar Cánepa, Arantxa Picard Sanz, Shalini Moodley, Yuliya Yudchenko, Silvia Calabresi, Marzia Faranda, Fabrizio Verderosa, Yilun Wu. Local architects: Shou Dong-Gang Architect, Su Mao-Pin Architect. Engineering consultant: CECI Engineering Consultants. Structural consultant: Boma Impasa, Slu (Bac Engineering Consultancy Group). Green energy: Politecnico de Milano + AIACE srl.